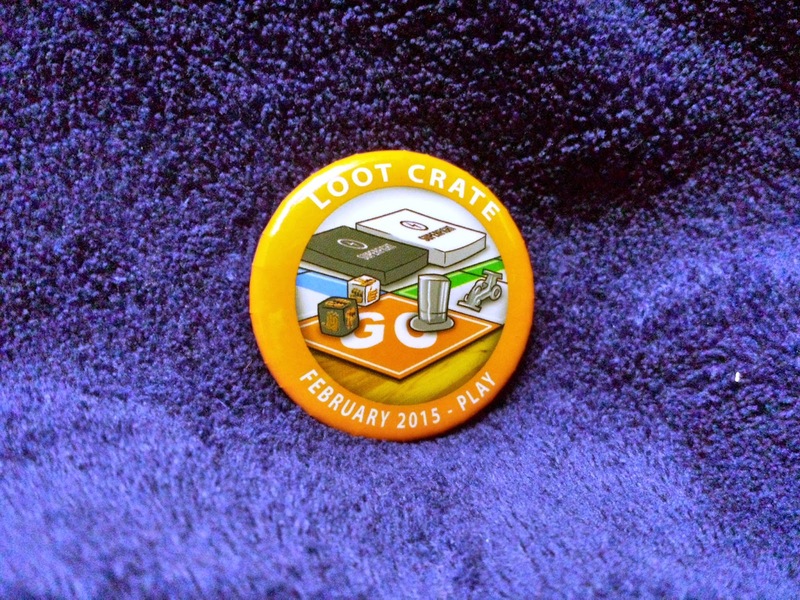 February 2015 Loot Crate Unboxing: Play! Loot Crate is a monthly subscription box for geeks and nerds. It has a variety of items that follow a monthly theme. February’s theme was “Play!” which was very exciting since my gaming group started playing more board games. After finishing my last book “Skin Game” from Jim Butcher I’ve been wanting a new book to read. 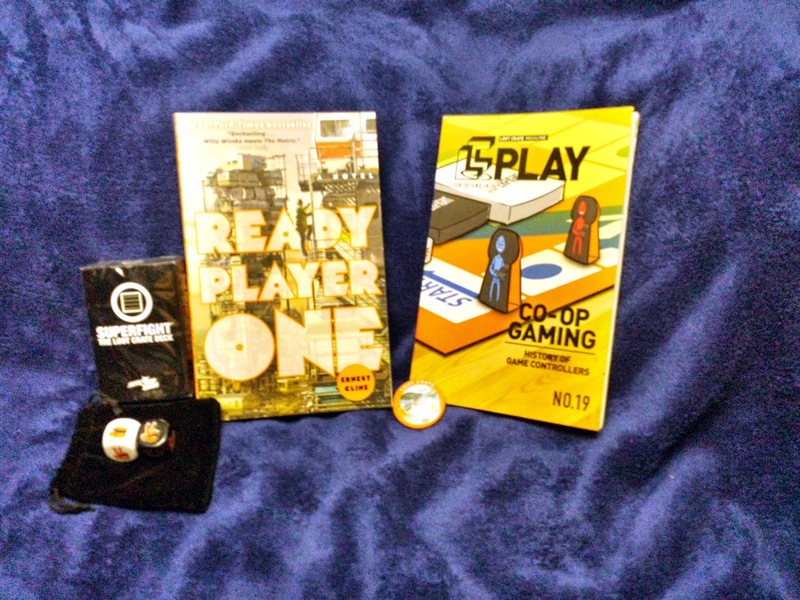 Thankfully Loot Crate put in “Ready Player One”. I’ve heard a lot of good things about this book from friends and online reviews. I’m not a huge fan of the Dystopian future genre but I will give this book a read. I recently read an article about Steven Spielberg directing the movie adaptation, which makes me want to start reading as soon as possible. A new card game called Super Fight was also included. My first impression of it was the nerdy version of Apples to Apples and Cards Against Humanity. A few of my friends have played it and said it was a lot of fun. Hopefully I will be able to break out these cards in our next gaming session. Also included is a pair of dice that is used to play a game. The Loot Crate box (not shown) can be turned into a game board. The dice come with rules and the monthly magazine has punch outs. I haven’t looked over the rules but will update if I get a chance to play. The Munny figure is what I’m most excited about this month. I remember seeing these a few years ago in an art store and have been wanting to paint one. I’ve been painting miniature pieces for wargaming for two years now but this would be a new experience. Thankfully I can use my acrylic paints since I’m not that proficient with markers. 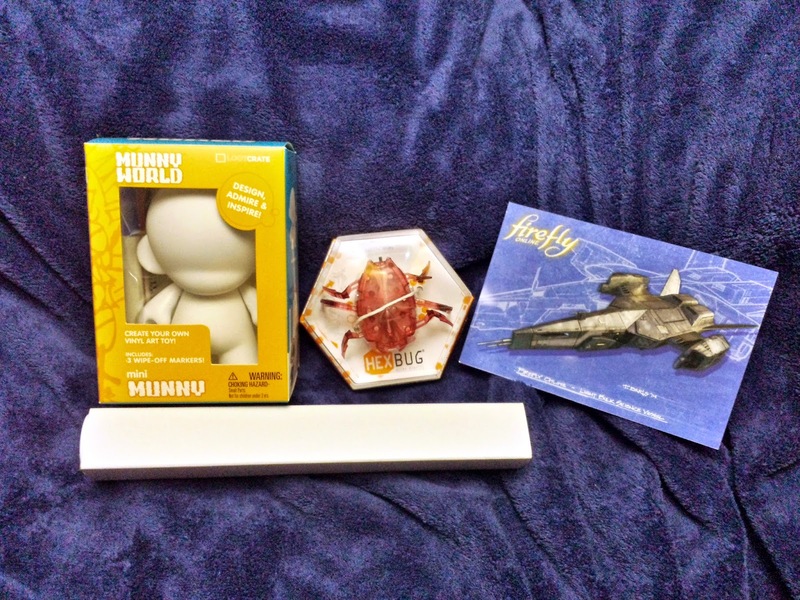 Also included were a Hex Bug, a code for the online game Firefly and a poster from Manny Peters. The Hex Bug looks cool but I haven’t played with them. I’ve received a smaller one in a previous crate but it’s still in its packaging. I’ve heard its very popular with younger children so I may give it to a sibling. The firefly ship code may get me to play this game. I didn’t know they were making this game until a month ago but it’s not too late to start. Overall, I think this crate was great. Usually I rate crates based on how many things I liked. I think “Ready Player One”, Munny Figure, and Super Fight were my favorite items in this box but the others are cool as well. I’m happy with this months box and hope the March crate is awesome. If you want to sign up use this link, http://looted.by/bYcFC. Use the promo code SAVE3 for $3 off any subscription. I also get credit towards my account if you use the link. If you have any questions, leave a comment at the bottom. Next Article CrossFit Open 15.5: It’s Over!